Come and discover this open-air museum ! Daily from May to September and on request only from October to April. Student: with a student card and under 26. Child: under 10 years old. Included: MAHB, Bayeux Tapestry entrance fees and explanations of the guide at the different stops. You have probably visited the sites of D-day and the Mont St Michel. 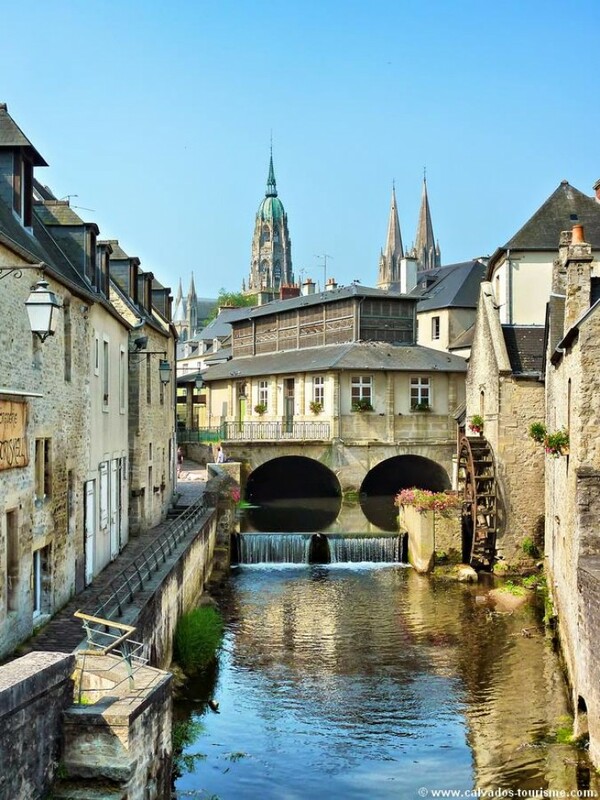 You're in Bayeux, have you taken the time to discover this preserved town? During this tour, you can admire the medieval architecture, Notre Dame as well as lace and porcelain that made the richness of Bayeux. The Museum of the MAHB relates to perfection these aspects in a modern setting. To end this tour, you will be dropped off in the world-renowned Museum of the Tapestry to rediscover the history of the Conquest of England by William the Conqueror who was part of your first curriculum of history.